The purpose of this writing is not to draw attention to the writer but to reveal the kind of transitions all people will experience as they age and the emotional impact it has upon each person. Growing old alone without love requires great courage when the aging person knows death is one step in front of them. How many times can one heart be broken until it stops beating with love? The radio air waves of the 20th Century overflowed with musical lyrics that described the emotions and feelings of the broken hearted. During that century people fell in love again and again and their hearts were broken by unfaithful lovers and cheating spouses. Still, enough of us beiieved that our love could be mended and we could eventually have our happy ending. But, for me I have run out of time and each day my happy ending seems farther and farther away. No one is chasing me anymore. No one is rushing home from work and dashing over to see me at my office to surprise me with a sweet kiss or hug. No one calls me on the phone and tells me they miss me. The sound of silence from the 60's has come to rest in my heart and the telephone does not ring and the text never come. The times that I can still remember when I was once loved are fading more quickly than I can record with pen and paper. Remembering Love is impossible some days. But, occasionally I remember and it is like the warmth of the summer sun blowing across my face like a loving breeze to remind me I am still present in this mysterious world. Everything is okay, I'm alright and I feel good in that moment but I do not know why. These words I have written are not my sad expressions alone. But, these are the words that will also be yours as you too grow old and the ones you love pass away and leave you here with no forwarding address whereby you might reach them at a later time. It is best I suppose that those of us in this situation can not always remember love. Knowing what we once had and living with a heart that has not been filled with love for a long time would bring us great sadness. I do not remember anymore. I do not have those feelings anymore. I am not expecting or anticipating any warmth or kindness or for someone to say "I love you" anymore. I am cognitive not emotional. I am kind and respectful but not loving. I help others because it works not because it makes me feel better or brings those I help any greater understanding. I move through my work process to obtain the greater prize but not to mold and shape the hearts and minds of others. Without love and the ability to remember love I have become highly efficient and successful at what I do but with no emotions or concerns to weigh me down like love can do. I have replaced my 20th Century broken heart with a mechanical device that does not stop, does not get tired, does not feel pain, love or sorrow. Occasionally, however, like the shadow we glimpse from the corner of our eye, I feel something go by that causes me to experience a softness that seems to come from my past and a hint of feelings and emotions surprise me and I start remembering love. But, quickly I am distracted and the feelings and emotions go away and I do not remember anything. I pass by the mirror in my bedroom at night before I crawl into bed and I see an old man but he is not me... the man I knew when I could remember love. 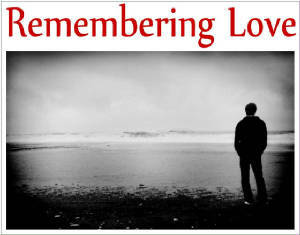 Click the graphic above and listen to the song, "Only Love Can Break Your Heart". Inside your mind step into the cartoon character "MR. Peabody's WAY BACK MACHINE and listen and critique with me the 1970's, 20th Century music hit "Only Love Can Break A Heart. Sung and recorded by Crosby, Steels, Nash and Young. Click the photo above and take a journey back in time with me.